Point-of-sale system for cafes and restaurants. Is there a better alternative to Order Manager? Is Order Manager really the best app in Finance category? Will Order Manager work good on macOS 10.13.4? 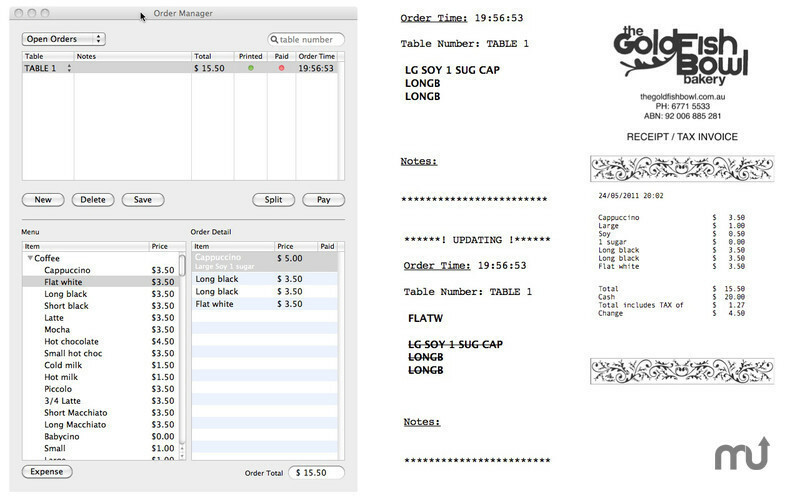 Order Manager is a point-of-sale system specifically designed to suit cafes and restaurants. Order Manager can be used as a stand alone application, or coupled with the iPhone app, Order Remote, to allow orders to be taken by waitstaff directly at the table. Order Manager needs a review. Be the first to review this app and get the discussion started! Order Manager needs a rating. Be the first to rate this app and get the discussion started!